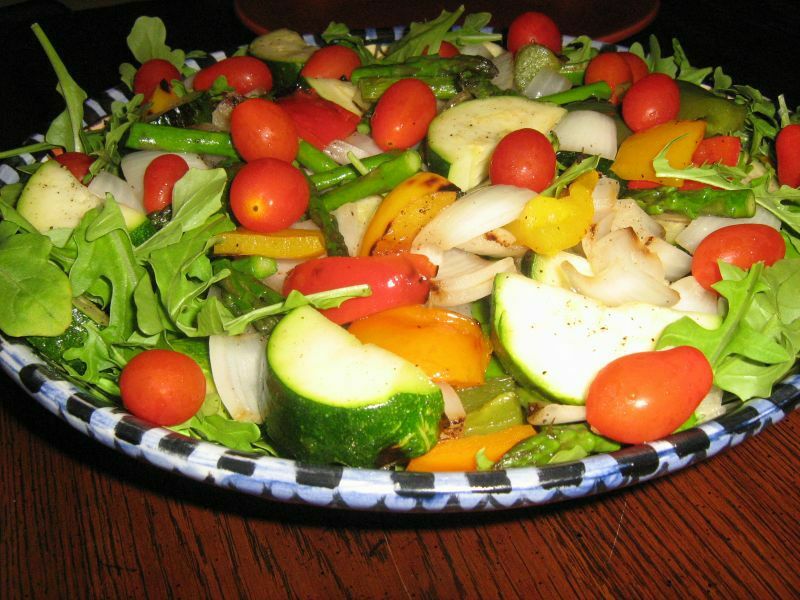 The perfect ending to a perfect long weekend...this delicious grilled veggie salad was prepared and submitted by John Hartman. The grilled veggie salad - grilled to perfection I might add - was a delicious lunch that capped a long weekend of family fun...an exquisite summer salad. Clean and break the asparagus. virgin olive oil and place on a hot grill. Cut the onions and peppers into large chunks. Cut the asparagus spears in half. together with about half the veggies. some grape tomatoes for a beautiful presentation. 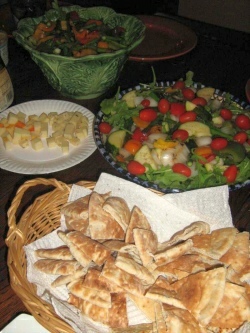 Serve with pita wedges and hummus. is a light Balsamic vinaigrette. Serves 8 to 10 as a main course luncheon salad.